Skin is your body’s coat. It protects you. It helps you stay warm when it’s cold, and cool when it’s hot. Your skin keeps all your insides in, from your heart and lungs to your blood and muscles. And unless it’s cut or damaged, it keeps stuff out, including germs and water. You also feel things through the nerves in your skin. What’s the big deal about skin? Every gust of wind, cough and blast from an exhaust pipe hits our skin first. Biologically, our skin is our first line of defense. Culturally, skin defines much of our standard for beauty. Bright, youthful skin signals healthy and vitality. And, like every part of our bodies, skin responds to care and attention. 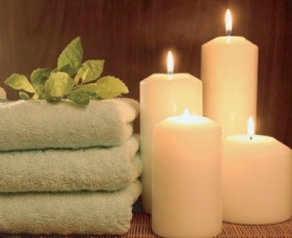 Proper treatment can revitalize skin and slow the aging process, keeping skin healthier, longer. It is becoming more and more apparent though that internal nutrition plays the biggest role in the skin looking good. I try to remind my clients that if your skin is looking poorly, imagine what your other organs that the skin is protecting are doing inside. There are a few factors I feel are most important. 1) First and foremost, WATER, your bodies are made of 75% water, drink it, replenish it, just do it! It not only helps all functions, but helps your oil glands function properly. When you don’t drink enough water, and live in a dry climate like Colorado, your skin becomes dehydrated. When the skin becomes dehydrated, the oil glands begin over compensating to give the face its proper moisture. They are not supposed to do this function, so they are doing it in a “survival mode” and therefore, not producing it evenly. This can cause dirt and oil to get stuck in the skin, in the form of blackheads and hardened sebum. Both are painful to remove. While there is no way to 100% avoid black heads, and clogged pores, unless you live in a bubble, water and proper nutrition can help prevent a lot. It will also aid in the removal of them when seeking professional treatment. I recommend starting your morning off with two large glasses of water. It will enliven the body and being its craving process, as well as detoxify the body first thing in the morning. 2) Second thing that I think is most important which I am torn on, are your B vitamins. C is also as important. B vitamins give us energy and B 6 controls our hormones, which is a large source of acne. Something to remember, your body can not absorb any of the B vitamins, unless you are taking them all. Vitamin C is the best nutrient at helping you produce collagen. Need I say more? 3) Collagen helps keeps us looking younger and firmer. It also acts as a natural internal sunscreen. It also externally protects the skin from free radicals (pollution etc.) causing damage to the skin. I like people to get 2,000-3,000,mg a day. Remember the body can only absorb 1000 per hour. When you are getting sick, take 1000 an hour to help the protection process. Also good when flying at high altitudes. 4) Omegas, we all need the oils to have our internal moisture balanced. Beyond just water, oils and water are both necessary. Often people ask me about the dark circles under their eyes. Please do not let anyone sell you an eye cream that will fix this, they will not. This is a total omega deficiency and needs to be addressed internally. Not washing your face before retreating to bed. Your skin (the protector) has been exposed to toxins, all day long, they need to be cleaned off properly and protected again prior to the organ having the opportunity to rest. Then it can perform its duties optimally.Second too much dairy…. This is a controversial subject and a very difficult one. I will have more links following from other articles, but the bottom line, mucus gets trapped in the skin, and dairy is the largest culprit. The way dairy is produced today, is in mass supply. This requires the cow’s utters to be stimulated numerous times a day. Causing irritation to the utters, this irritation that forms mucus and puss, gets in our dairy products and then is ingested. Causing clogged pores and often break outs in the skin. These are some of the basic principles and issues I have noticed in my 15 years of practice. There are many more and we are discovering more and more as time goes on. Having a regular facial on a monthly basis can aid in the skin being able to recover. Despite what advertising tell you on television and other media outlets, what my license entitles me to buy, can exfoliate at a higher level than anything that can be purchased over the counter. With my on going training and education, I combine ingredients to help the skin function at optimized levels. When it is not functioning with extra dead dry layers containing dry skin, bacteria etc, it can function properly. Therefore, also showing a healthier glow, and looking and staying younger, free from damage. 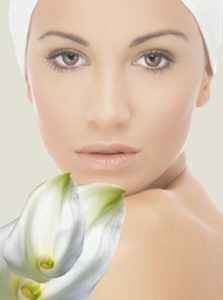 Some clients time-wise or financially can’t afford the ideal facial once a month, so then I suggest every other month. This gives the skin less time to build up impurities. If that is still out of the budget, time-wise or financially, then I suggest, seasonally. Our hair, sinuses, everything adjusts with the season, so our skin is no different. I say, get the winter off your skin, clean the sunscreen out of your pores. This usually conveys what we are all doing. For internal nutrition I carry a reputable line called Orenda, please visit www.orendainternational.com . For me, the products are extremely high quality and take a lot of the guess work out of internal nutrition. The ultimate pack is just that, Ultimate! See , Choose Your Platform!